There is an increasing likelihood of a so called “hung parliament”, where no party has a majority. The vote share in absolute numbers may be an important lever for Labour in arguing we should be allowed to form a minority administration if Labour doesn’t get an overall majority of MPs. So even here in Chippenham constituency, EVERY SINGLE LABOUR VOTE COUNTS. 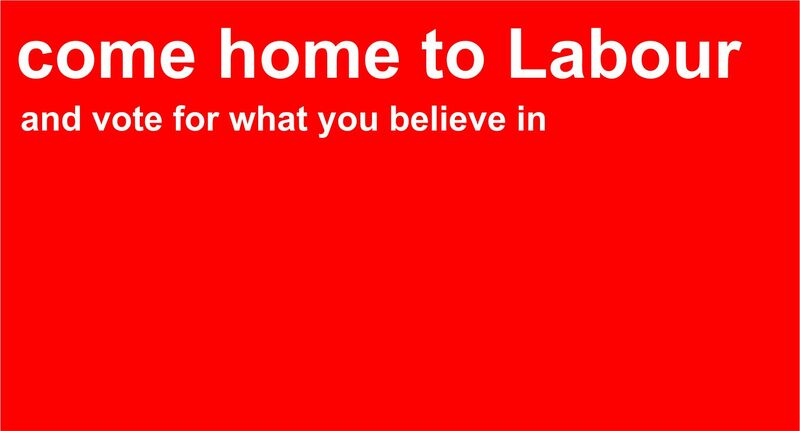 It is a vote of confidence in the party, in the manifesto, and it is a vote for a Labour government with Jeremy Corbyn as Prime Minister. Beware the false arguments from Lib Dems touting the idea of so called “tactical voting”. The Lib Dems are no friends of the Labour Party and it was the Lib Dems who backed the Conservative government between 2010 and 2015. They are trying to reduce the Labour vote to make it look like there is less support for Corbyn than there is.